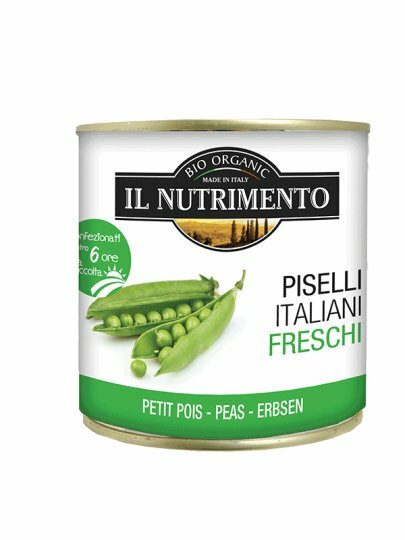 Fresh Italian peas in the water is part of the new "Freschi" Il Nutrimento line of organic canned vegetables, grown in Italy, and it was made within one day, packed within 6 hours after harvest! Keeping the tastes and texture of fresh garden products, but with the convenience of having it in your home's ready-to-use home. * peas, water, sea salt. * Organic.